Academy Award nominee Bryan Cranston reveals to Larry King that he was offered a role in ‘Spotlight’ – which nabbed this year’s Best Picture Oscar – as one of the reporters, and regrets turning it down. Academy Award nominee Bryan Cranston reveals to Larry King that he was offered a role in ‘Spotlight’ – which nabbed this year’s Best Picture Oscar – and regrets turning it down. Cranston reveals that his commitment to his newest release,‘The Infiltrator,’ a thriller about a U.S. Customs agent undercover in Pablo Escobar’s cartel, stopped him from accepting a role in ‘Spotlight,' a powerful film about the Boston Globe’s investigation into child molestation and abuse within the Catholic Church. 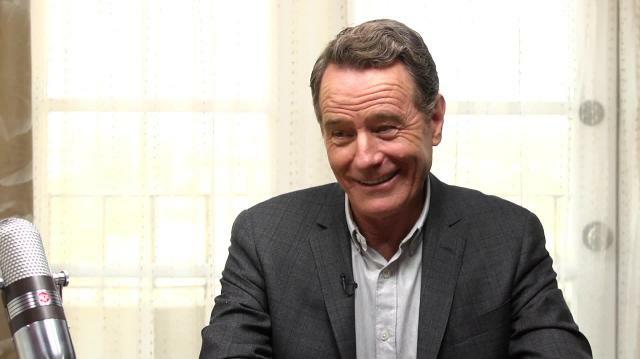 Cranston admits that he was approached to play one of the reporters in the film, but conflicting shooting schedules left him no choice but to turn down the opportunity.